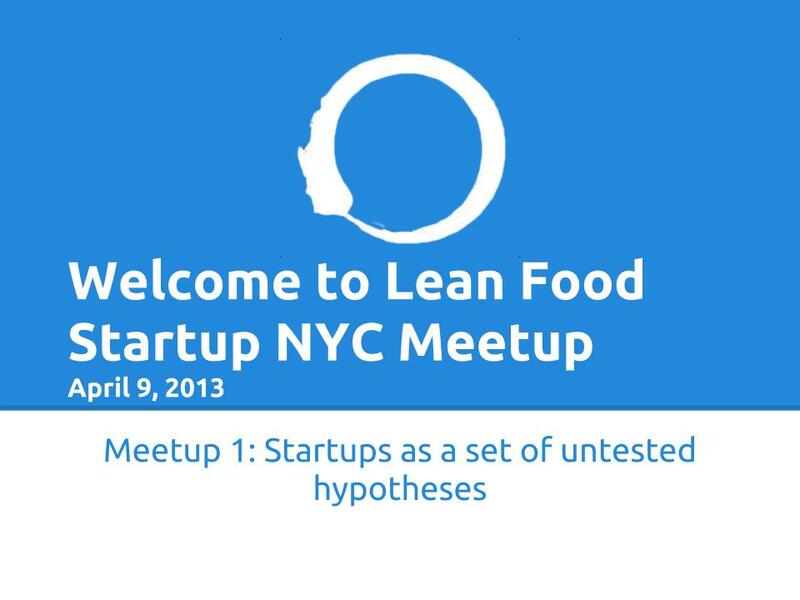 Join the Lean Food Startup NYC Meetup Group! [FROM ITAC] The ITAC Solutions Fair is a half-day forum designed for NY manufacturing companies to meet directly with technology experts in one-on-one consultations to solve problems and support growth. Meet with experts from universities and Centers of Excellence across NYS who can address challenges in areas like: automation, packaging, materials science & engineering, intellectual property, sustainability, new product development, process improvement & supply chain. Furthermore, ITAC will have experts directly related to food science issues, including: representatives from Cornell Dept. of Food Science, Green Packaging guidance, and Automation experts. [FROM Slow Money NYC] Elizabeth Ü, author of the soon-to-be-released: Raising Dough: The Complete Guide to Financing a Socially Responsible Food Business, will present the Finance for Food Workshop, outlining capital options available for sustainable food businesses — including pros, cons, criteria, and sources. In simple terms, Elizabeth Ü will provide valuable insights into the world of finance, including descriptions of various capital options available (including traditional debt and equity, government grant and loan programs, cutting-edge social finance options such as crowdfunding, and community-based alternatives). She will suggest guidelines for choosing capital options are most appropriate given size, stage, entity type, growth plans, mission, and values of an enterprise. This interactive session will afford participants at least an hour opportunity to ask questions at the end of the presentation. Tickets are $15.00 in advance, $20 at the door. Please RSVP ASAP as space is limited! You can register for this event online HERE. [From Council Member Levin’s Office] Attention all food businesses! Council Member Stephen Levin (he represents Brooklyn Heights, Greenpoint, parts of Williamsburg, Park Slope, and Boerum Hill) is looking for feedback from Brooklyn food manufacturers about the need for co-packing here in NYC. We strongly recommend that you fill out this survey! This is your chance to affect public policy and bring more resources to the NYC food manufacturing community. If feedback is limited, it will be that much harder to convince the powers that be to invest in infrastructure that can support food production. The food community is at a critical mass, and we need to work together to make our voices heard! Happy Tuesday! The New York Times published an article highlighting the growing trend of VC capital flowing into innovative food startups. 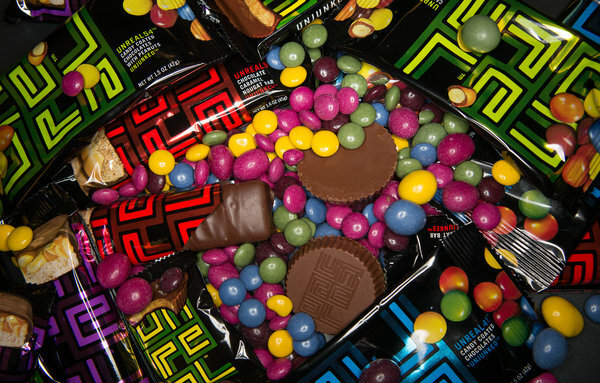 “Part of the reason you’re seeing all these V.C.’s get interested in this is the food industry is not only is it massive, but like the energy industry, it is terribly broken in terms of its impact on the environment, health, animals,” said Josh Tetrick, founder and chief executive of Hampton Creek Foods, a start-up making egg alternatives. And by the numbers: last year, VCs invested $350 million in food projects, which marked an 37% increase from the year before. Even though the $350 million is a small proportion of the total VCs invest, the growth rate is remarkable. There are still a doubts VCs have about food startups, and it’s intriguing to see they are grappling with some of the same issues we are trying to explore in our meetup group! Thanks to those of you who came for the first installment of Lean Food Startup NYC meetup! Tonight, we covered the context of lean startup, basic underlying principles, explored the concept of startups as a series of untested hypotheses, and posed the question of whether or not lean startup practices can be applied to food. We also took some time as a group to go over the Business Model Canvas, which is a variant of the Lean Canvas. You can view a quick video about it here. Lastly, we wrapped up with some discussion about how we could best structure future meetups, and a call to action for people to read up about lean startup, and try to put some practices to use in their own food startups. Try to do a business model canvas on your own, and if you like, share your results. We also proposed different ways we could make use of the meetup discussion board as well as this blog. If you have ideas/content you’d like to discuss, or post, let us know.